Logging Camp was originally created as a series of ephemeral works commemorating the men who worked in the camps during the late 19th and early 20th centuries. 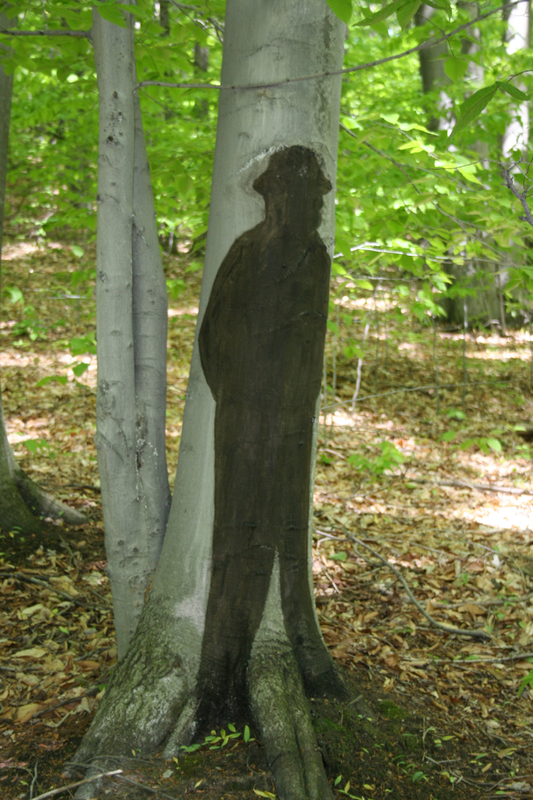 The artist’s grandfather was among those that participated in Michigan’s “timber rush,” harvesting millions of trees from virgin forests. The original images for Logging Camp were intended to be temporary. 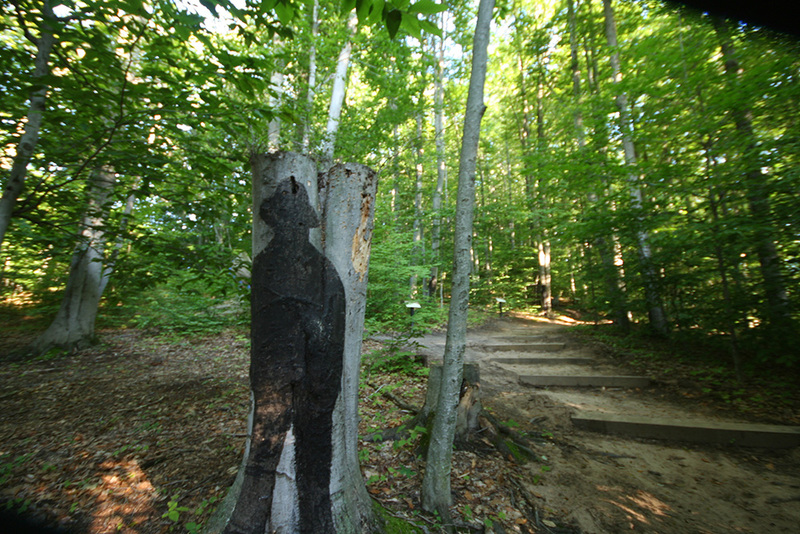 During each season, beginning in fall 1999 and continuing through the summer of 2000, Patricia Innis created silhouette-like images on trees throughout the park, the images were selected from family photos and placed on trees using natural materials of the season including snow, fallen leaves and dye she prepared herself from berries and bark. The art was so popular that Innis was asked to make some of them more long lasting. Take a moment now and then to look for the spirits of Logging Camp as you tour the park.